The Club hosted a community Flag Football tournament from 4:30pm – 5:30pm — cold water, freezies, and snack were provided! The Club had events planned at several service locations. Members from the General Vanier and Henry Street service locations came together at the Henry Street location where they made pancakes together and then played ice breaker games. At the Heritage location, Club members built a fort in the background and baked muffins together. 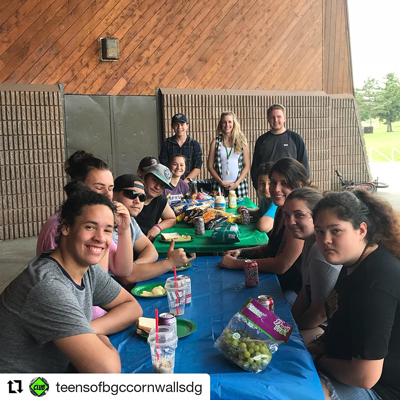 At the 506 Clubhouse, youth enjoyed a picnic together by the water. Parents, family members, and local politicians were invited to join Club staff and kids for an hour of outdoor games, including parachute games, relays, tossing rubber chickens, and more! 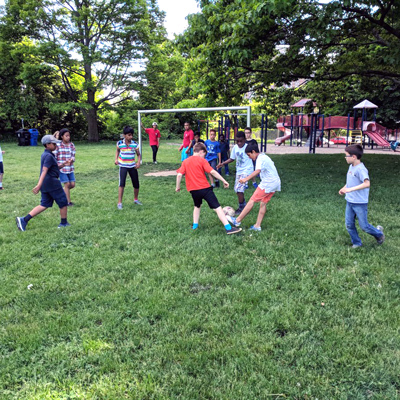 The Club hosted a BBQ for all of their members, and also had a police vs. Club member soccer game, along with other outdoor activities for kids to take part in. 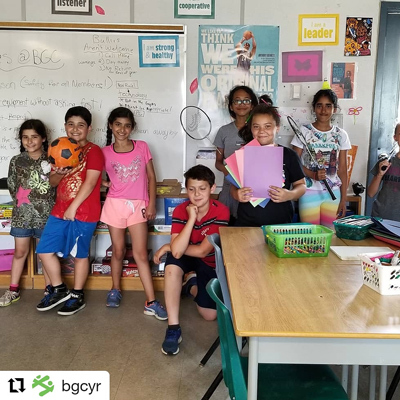 Club members took part in a variety of activities, including outdoor ball hockey, yoga, splash activities in the swimming pool, open art studio, and outdoor water games. Healthy snacks were provided! During a 3-hour period in the PA day program, the Club invited parents and all staff to join the children for some tech-free fun and games. 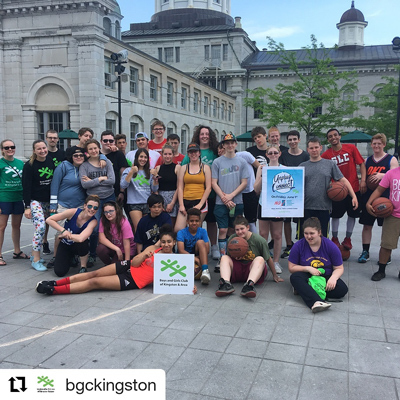 The Club held a youth outdoor basketball game in Market Square—right in the heart of downtown Kingston! MP Mark Gerretsen was in attendance. It was an opportunity for our youth to be active, outside, and unplugged! 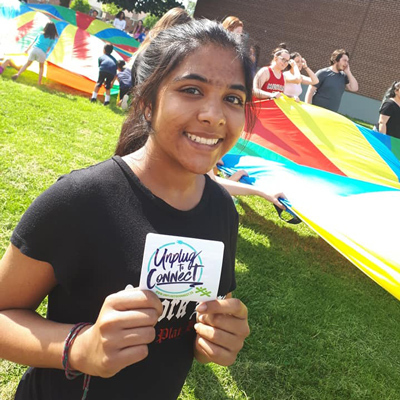 The Club hosted a variety of activities for kids, families, and community members, including outdoor games, crafts, board games, and Pokémon Club. 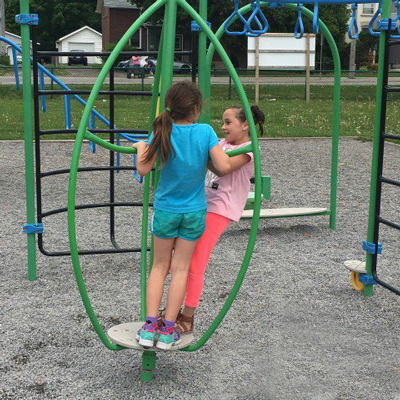 The Club’s afterschool program headed outside for activities and games, including kite flying, drawing chalk murals, skipping rope, and blowing bubbles. 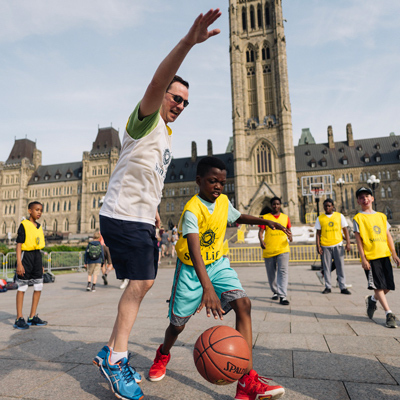 MPs, Senators and staffers teamed up with kids from our Ottawa Club for basketball fun on the front lawn of Parliament Hill. Special guests included the Hon. Patty Hajdu, Minister of Employment, Workforce Development and Labour, and Paul Joliat, AVP, Philanthropy & Sponsorships for Sun Life Financial. The Club had programs running for different age groups at all of their service locations, including basketball, tennis, reading Club, cooking program, games day, and conversation circle. 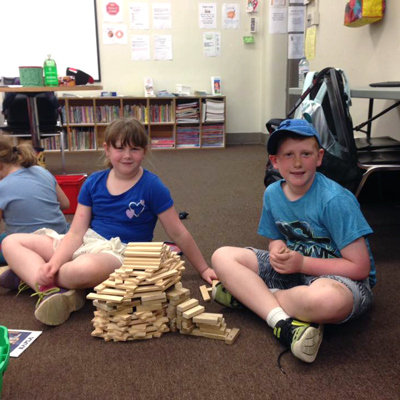 The kids at the Sarnia Club hosted a game night for all Club members. 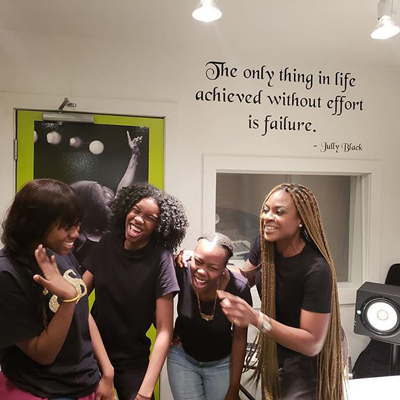 Canadian R&B sensation Jully Black visited our Jane & Finch Boys and Girls Club to connect with kids and members of the community … and gave a powerful and moving “unplugged” performance! They hosted a soccer clinic with a local soccer player. They also decorated tie-dyed Boys & Girls Club T-Shirts, played outdoor games, and had a BBQ. The Club turned off their wi-fi at 4:30 to go outside and enjoy a kickball tournament. The Club’s literacy room also had activities to encourage members to connect with each other; for example, Unplug to Connect Bingo and pen pal letter writing. To end the day, the Club raffled off bikes to 3 Club members. All 12 sites across the city had children, youth, staff, and supervisors partaking in a nature walk in local parks and ravines. Participants also partook in mini nature activities throughout the walk. The staff ended the walk with some stories and a reminder for children to unplug for an hour at home. 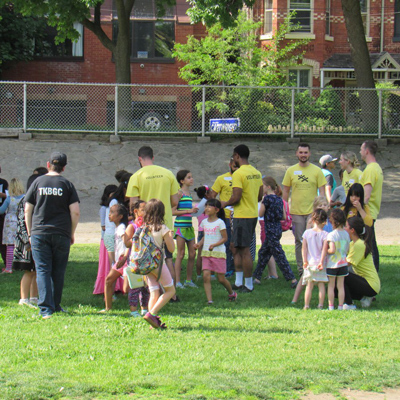 The Birchmount location hosted a special event with outdoor activities for kids, including relay races, obstacle courses, dramatic skits, etc. The Club’s youth staff organized a community drop-in basketball event, and the Youth Council went bowling together. 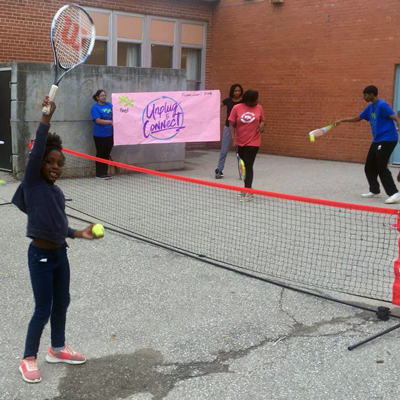 The Club hosted events at each of their six after school program locations. The Keswick location spent an hour disconnected and writing letters to friends or family members. At the Newmarket location, kids took part in an outdoor robotic cars battle. At the Maple location, Club members and staff spent time outside doing 3D painting and participating in balloon toss activities. At the East Gwillimbury location, kids made their own bubbles and bubble wands, and spent time outdoors at a nearby park. 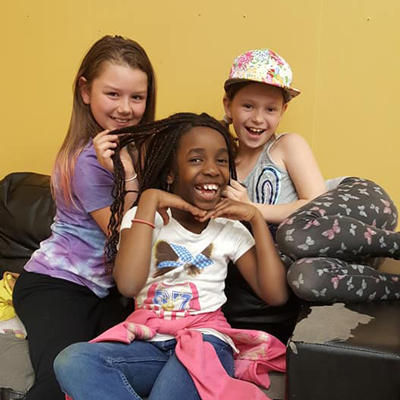 At the Georgina Island location, families joined kids at the Club to participate in a scrapbooking activity reflecting on why they love being members at a Boys and Girls Club. And the Woodbridge location hosted a 3-on-3 basketball tournament for Club members, staff, volunteers, and community members.